The Charles River Investment Management Solution provides institutional asset managers, insurers and pension funds with a single investment platform to help improve decision making, better risk management, greater efficiency, and lower cost. Charles River IMS provides firms with the flexibility to respond quickly to investment opportunities and risks, bring products to market faster, and better serve their clients. By consolidating all investment processes on a single, multi-asset platform, firms gain a complete view of their accounts, investments and risk exposures. 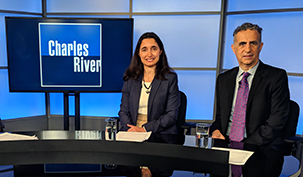 PORTFOLIO ANALYTICS – Charles River’s front and middle office solution centralizes portfolio analysis and construction, performance measurement, and risk management activities in a single workspace, providing portfolio managers with more informed investment insights. TRADER PRODUCTIVITY – Integrated order and execution management capabilities help improve trade execution and help increase trader productivity. Automated compliance and risk monitoring across the entire investment lifecycle helps firms meet client mandates and regulatory requirements. STREAMLINED POST-TRADE PROCESSING – By automating the post-trade process and providing centralized confirmation, trade matching and settlement instruction workflows, Charles River IMS helps minimize the risk of failed trades, expedites settlement, and ensures all parties have the same real-time view of post-trade processing activity and data. A SaaS-BASED ENTERPRISE SOLUTION – Firms may increase efficiency and reduce costs by consolidating disparate systems on a single enterprise solution that automates processes, streamlines workflows and eliminates expensive bespoke specialty systems. The SaaS-based operating model helps ensure up to date technology and security, higher data quality, and 24x7 availability. 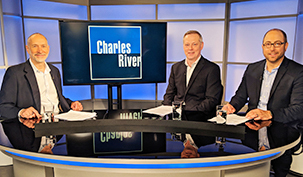 Charles River IMS helps pensions and insurers monitor risk and compliance, make more informed investment decisions, and efficiently manage liability driven investment strategies. Look-through capabilities and streamlined allocation processes support complex fund and account structures. 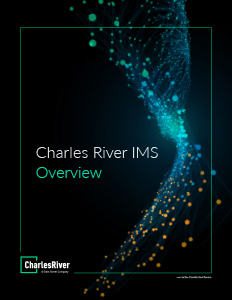 Extensive support for all asset classes and derivative-based yield enhancement strategies helps ensure firms can manage their entire investment process on Charles River IMS and bring products to market faster. CENTRALIZED PORTFOLIO ANALYTICS – Charles River IMS centralizes portfolio & risk management, scenario analysis, and performance measurement in a single workspace. Portfolio managers benefit from a comprehensive and actionable view of exposures, positions, and orders. UNDERSTAND AND ANTICIPATE RISK EVENTS – Risk analysts can design rigorous stress tests based on either historical events or hypothetical shocks, and portfolio managers can perform “what-if” analysis to gauge the impact of asset allocation decisions and proposed trades on risk exposure. FULL INVESTMENT LIFECYCLE COMPLIANCE – Automated compliance and risk monitoring across the entire investment lifecycle helps firms meet client mandates and requirements. Extensive pre-built rule libraries help insurers and pensions monitor and comply with select country and US state-specific insurance guidelines. ORDER AND EXECUTION MANAGEMENT – Multi-asset order and execution management capabilities help improve trade execution and provide access to global liquidity providers. Portfolio managers, risk officers and traders share a single, comprehensive view of orders across the trade lifecycle. 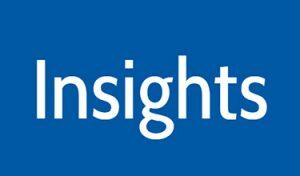 EXPLAIN PORTFOLIO PERFORMANCE – Extensive performance measurement, attribution and risk reporting capabilities help increase transparency and enable managers to communicate detailed investment results to all constituents, including investment committees, trustees, risk officers and regulators. CONFIGURABLE AND SCALABLE – Charles River’s configurable and scalable architecture allows firms to incorporate bespoke risk models and analytics, and integrate seamlessly with back office accounting systems and other third-party providers. The SaaS-based operating model helps ensure up to date technology and security, higher data quality and 24x7 availability.